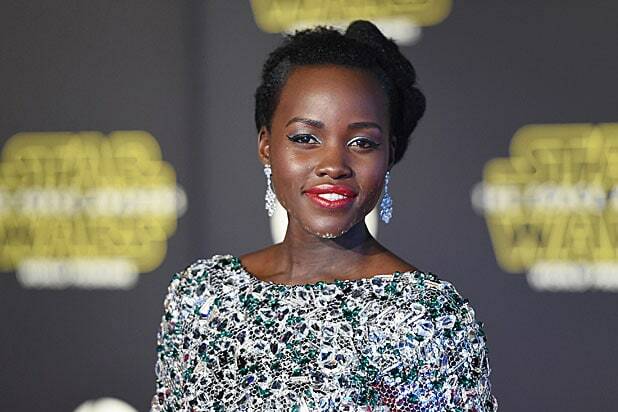 Lupita Nyong’o is circling Black Panther’s lair. The Academy Award winner is in early talks to the play love interest of Chadwick Boseman‘s Marvel character T’Challa, an individual familiar with the discussions told TheWrap. The superhero, introduced in the current hit “Captain America: Civil War,” will see a solo outing from director Ryan Coogler on July 6, 2018. Boseman impressed in his first outing as king of the fictional African nation Wakanda, and proved a force to be reckoned with for the likes of Chris Evans‘ Captain America and Robert Downey Jr.‘s Iron Man. Details about Nyong’o’s potential character are currently unknown. Nyong’o earned a Tony nomination for her critically acclaimed turn on Broadway in the drama “Eclipsed,” which is scheduled to run through June 19. Nyong’o is repped by CAA. "Captain America: Civil War" has changed the status quo for the Marvel Cinematic Universe in a number of ways. With Phase Three now fully underway, here are the big questions moving forward. There were two Avengers noticeably absent from "Civil War": Thor and Hulk. One is a thunder god from another realm, the other is a loose cannon who can't fully control himself when he turns green. How will the Sokovia Accords take these two wild cards into account? Also Read: Chris Hemsworth Flops Again With ‘The Huntsman’ – Why Can’t Thor Catch a Box Office Break? Black Panther made a huge first impression in "Civil War," building excitement for his 2018 solo outing. He's the new King of Wakanda, but he's also keeping the internationally-wanted Bucky Barnes under his care. What role will he and his country, an official supporter of the Sokovia Accords, play in this superhero schism? 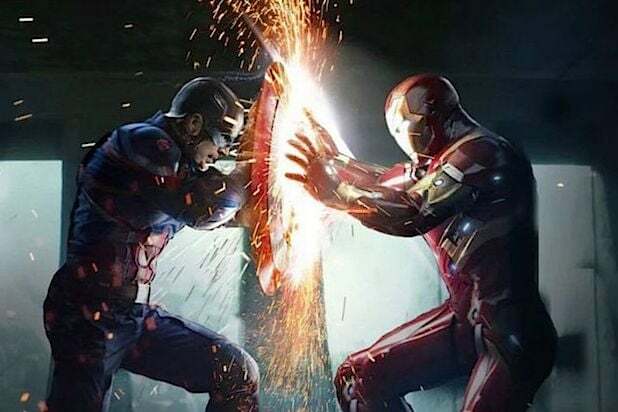 Captain America essentially handed off leadership of the Avengers to Iron Man at the end of "Civil War." With Tony Stark's more cautious outlook toward superhero accountability be tested once he has to start dealing with politicians? And will he even be able to do his job while under the thumb of Thunderbolt Ross? In "Civil War" we see that Thunderbolt Ross is operating the superhero prison known as The Raft, taking a harder line against rebellious enhanced humans than we might have expected. What's Ross' agenda here? Is he really just being overly careful or does he have bigger plans for his detainees? The Sokovia Accords will also have an impact beyond the movies. This week's episode of "Agents of SHIELD" will address how the covert team will be affected by the new laws, and whether the Inhumans on the team will be protected. Captain America's staunch refusal to sign the Sokovia Accords has transformed him from Avenger to wanted vigilante. Will he be able to continue saving the world with the government that once championed him trying to hunt him down? For that matter, what about Cap's allies? Hawkeye, Falcon, Ant-Man and Scarlet Witch are all fugitives from the world's toughest supermax prison. Will they still be wanted superfolks when "Infinity War" rolls around? And on that note, the civil war in "Civil War" isn't quite over yet. Will #TeamIronMan, as happened in the comic-book version of the story, be so preoccupied trying to hunt down other good guys that they forget to deal with the bad guys? Zemo, the man who cunningly took advantage of the conflict over the Sokovia Accords to create a seemingly irreconcilable schism within the Avengers, is still alive at the end of "Civil War" and in the custody of the CIA. Will he have a part to play in the future of the MCU? The post-credits scene in "Civil War" ended with the promise that "Spiderman will return." With the web-slinging hero on loan from another studio, how will Disney include Peter Parker in the MCU going forward? If "Civil War" is any indication, Scarlet Witch could become the most powerful member of the Avengers. With the MCU constantly building the stakes and the scale of its showdowns, will Wanda continue to have as big an impact on the Avengers as she did in "Civil War"? Also: in the comics, she and Vision are a couple -- how will that be handled moving forward with each of them on different sides of this battle? Vision is currently in possession of an Infinity Stone, which serves as his power source. With Thanos expected to go after all of the Infinity Stones in the upcoming "Infinity War," will Vision find a way to function without it? Or will that be a life-or-death situation for him? The biggest question, though, is how the Earth-bound films in the MCU, like the "Avengers" and "Cap" series, will crossover with the cosmic films like "Guardians of the Galaxy" and "Thor." The Guardians have an Infinity Stone, so they have to enter the bigger picture at some point. The question is how and when. Needless to say: SPOILER ALERT! Can Jodie Foster’s ‘Money Monster’ Make a Dent in ‘Captain America: Civil War’?